big power . . .
"Vari-Shift" transmission on B-112 offers seven power ranges within each gear selection . . . constant speed control through 21 forward speeds. Without clutching, shifting or throttle adjustment, you can vary power and speed through all working conditions with instant response. 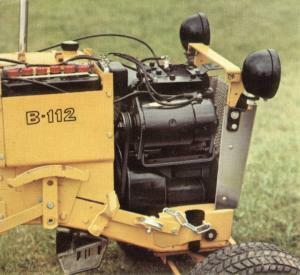 **B-112 Only Completely new variable speed "Vari-Shift" selector gives the operator seven power ranges for each transmission gear. SPEEDS: Choice of seven different variable speed ratios with high and low ratios as shown, with five other speeds in between in each gear. This is standard equipment on all B-112 tractors. Unlike competitive units that have only one variable pulley, the new "VARI-SHIFT" utilizes two synchronized pulleys that provide constant speed control to the transmission. When one pulley opens, the other closes in the same ratio. This guarantees constant speed control through 21 forward speeds. Without clutching, shifting or throttle adjustment, the operator varies his power requirements through all terrain and working situations, with instant response. 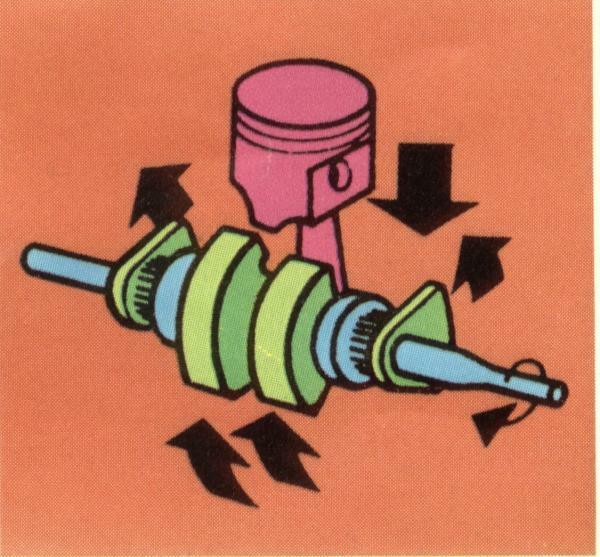 This does not effect power takeoff speed. 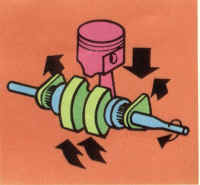 "Synchro-Balanced"* crankshaft of B-112 reduces vertical vibrations 60 percent-horizontal vibration up to 85 percent over conventional engines. It provides a multi-cylinder smoothness never before possible in a single cylinder industrial engine . . . prolongs engine and tractor life and makes your ride more comfortable. Convenient control panel has push-button starter, ignition key switch, choke and throttle. They're all conveniently grouped within easy reach. There is also a large, easy-to-read ammeter. **Steering Wheel: The new conical shaped steering is mounted in the center of the redesigned dashboard. 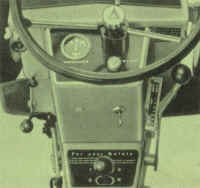 The center of the steering wheel is dressed up with a chrome cap bearing the Allis-Chalmers trademark. The full diameter wheel plus 5.1:1 steering ratio gives the operator effortless steering over a full 360 degrees. Completely redesigned control center gives the operator maximum accessibility to all controls and instruments. On the left hand side is a new push pull throttle control and separate choke. A key ignition with push button starting provides safety. Calibrated ammeter is included as standard equipment. 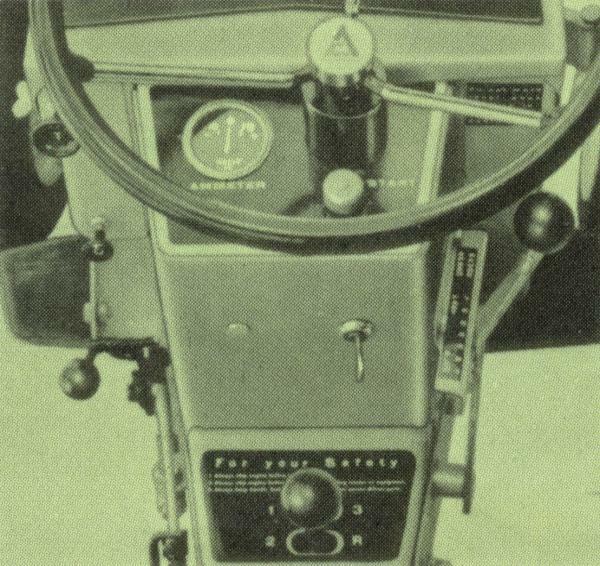 Gear shift lever is in full view within easy reach of the operator. Fast, easy hookups of the wide range of Allis-Chalmers implements can be made without tools. You attach them in a minute or so. Eight gear selections to choose from on the optional "Hi-Lo" range transmission on the B-110~ You can vary speeds from 0.53 to 6.1 mph and still get full power at any throttle setting. 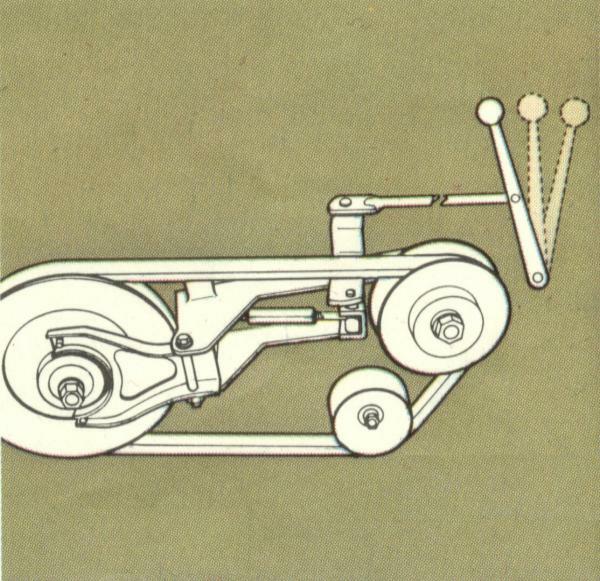 The 3 standard forward and 1 reverse speed can all be reduced by approximately 50 percent with "Hi-Lo" for such work as rotary tilling, snow blowing, etc. "Easy-Spin" starting uses a unique cam design to reduce required starting effort by 50 percent. The cam bleeds off compression at starting speeds but has no effect on the full rated power of the engine at running speeds. No moving parts, no adjustments -- ever. 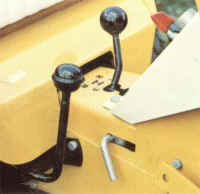 Handle any implement with the standard easy lift lever or effortless hydraulic control on left side of tractor. An exclusive optional lift lever on the right lets you mount second implement. No need to stop in the middle of a job to change attachments. Attach implements at any point from three power takeoff outlets -- front, center and rear. 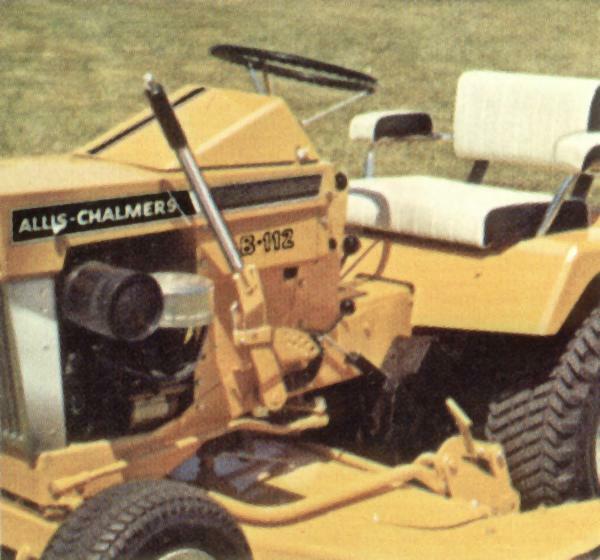 You need no extra engines no matter what the job -- snow removal, mowing or gardening. Both tractors have three power takeoff points, front center and rear. All may be operated independently or simultaneously with no loss of operating efficiency. 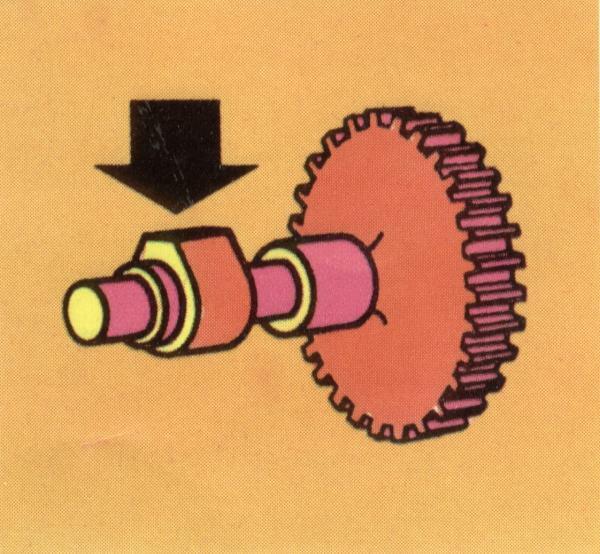 The front PTO is driven directly from the engine crankshaft Center and rear PTO are driven from the gear box forward of the final drive assembly. 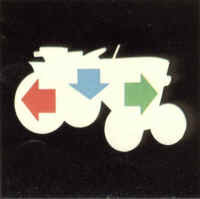 PTO speeds are not effected by varying ground speeds of the tractor. 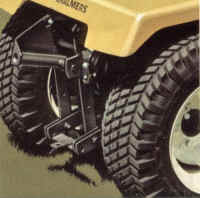 The center PTO clutch is optional but shipped factory installed unless otherwise specified on dealer order. The front and rear PTO clutches are standard equipment with front and rear PTO implements.